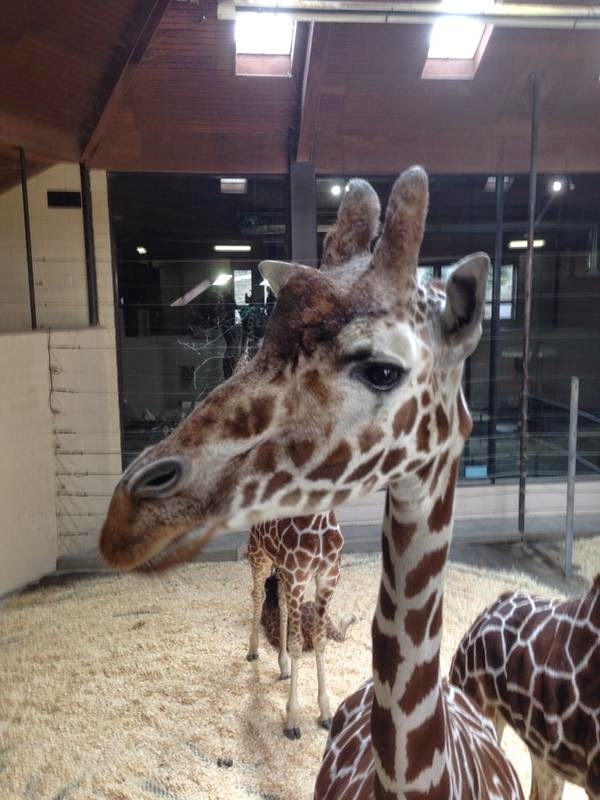 What does giraffes, Piccolo Pete’s, and Omaha exportations have in common? We have finally made it to our second to last day here in the corn filled and animal loving state of Nebraska. The Omahomies earned a well-deserved free day after our four longs days of service! 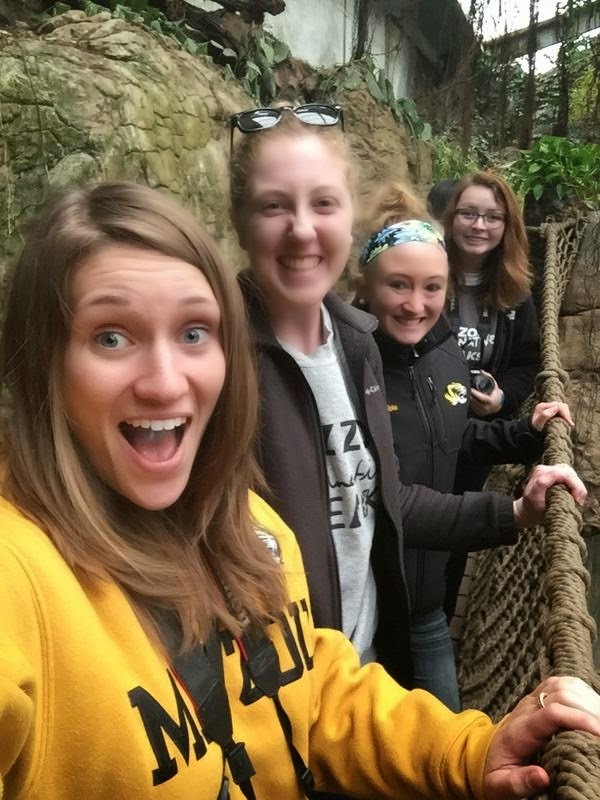 The Omaha Henry Doorly Zoo was an obvious natural choice for us to spend our free day. We began today by sleeping in and making a much-needed trip to Dunkin Donuts for coffee. Then, we began our daylong expedition to the zoo to view and learn more about exotic animals from dessert lands, the jungle, the ocean, and Madagascar. The main highlight of the day, however, was a tour led by the head veterinarian of the Henry Doorly Zoo. Dr. Stephanie Carle began our tour with an in-depth look into the zoo hospital. We learned about how the veterinarian team in Omaha takes care of zoo resident animals as well as nearby local animals in need of care or treatment. 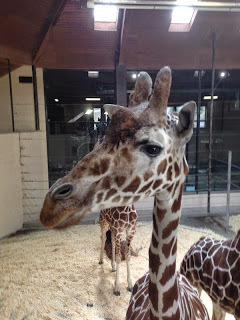 Afterwards, Dr. Carle brought us to visit the giraffe habitat at the zoo where we got to feed the giraffes! IT WAS SO SPECTACULAR! We ended our fun filled free day by eating out at a surprisingly fancy restaurant called Piccolo Pete’s and getting delicious desserts at Delice European Bakery & Cafe. Traveling to Nebraska with twelve Mizzou strangers to serve animals is not a typical spring break vacation destination. Nearly all of us can readily admit that our proposed volunteer undertaking caused many weeks of insecurity and doubt. It came as a big surprise to us that we would all become so close at the end of the week. We can happily admit that our group of donut loving, dancing misfits has become a true MAB family. This trip has easily become an experience that none of us will ever forget. The Omahomies are looking forward to spending our final hours together spending in Iowa serving at Hooves and Paws Rescue of the Heartland. Until then, we will be playing Heads Up and being as loud as we can. MABlove!